Yousuf Mohamed Al Jaida, Chief Executive Officer of QFC Authority, has said the QFC’s new strategic plans will promote Qatar as a natural hub for innovative digital, media, sports, and financial services, providing a solid basis for foreign direct investments in those growing fields. The QFC’s strategy includes an emphasis on new emerging markets that are collectively worth over $$2.1 trillion, with Qatar and the QFC well positioned to serve as a gateway to these lucrative and fast-growing economies. Al-Jaida yesterday discussed QFC’s new strategic plans at length during a high-level panel with key national stakeholders with whom the QFC is closely collaborating to achieve its ambitious goals and realize its strategy. 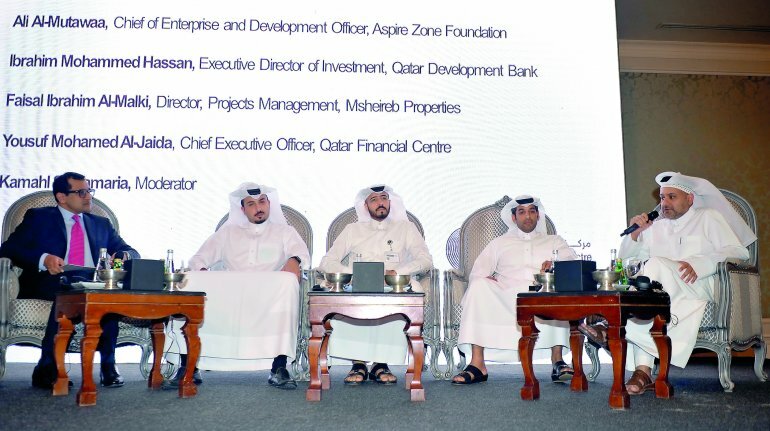 Panelists included Ali Al-Mutawaa, Chief of Enterprise and Development Officer, Aspire Zone Foundation; Ibrahim Mohammed Hassan, Executive Director of Investment, Qatar Development Bank; and Faisal Ibrahim AlMalki, Director of Projects Management, Msheireb Properties. One of the QFC’s partnership goals is to establish a new financial city in Msheireb Downtown Doha, one of the world’s smartest and most sustainable cities. Msheireb Downtown Doha is a mixed-use development spanning 310,000 square meters with the entire project targeting LEED Gold and Platinum ratings. The QFC’s planned move to the world-class development will further cement Qatar’s position as a leading international financial and business hub. Al Jaida said that QFC’s focus on the digital, media sports and financial service industries is aligned with Qatar’s existing positioning in those fields. In the sports industry alone, Qatar has already established world-class infrastructure thanks to robust investments, and has leveraged this by hosting international sporting events, which are set to bring even more economic impetus, with the sports industry estimated to be valued at $20bn by 2023.